I chose this book and excerpt because…well, to be frank, I wanted Gio to read more. I briefly entertained the thought of having Gio Gahol and Rachel Coates read from my new book, which I knew would be out by the time the podcast went live. 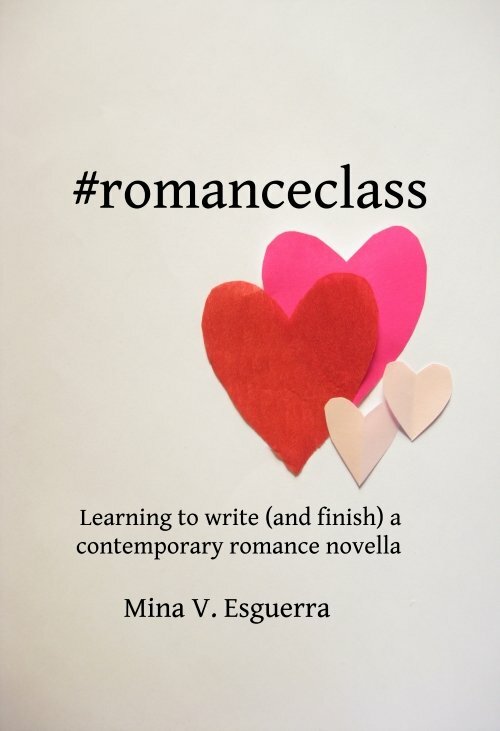 But one of the tricky things we discovered when we produced this was that as a community, we “romance in English” authors don’t write a lot of male POV. And I wanted Gio to, throughout the season, read as much as Rachel did, or close to it. So since I wrote some male POV I knew I’d probably need to use my own books to balance out the rest. So let me tell you about the time I fell in love with the guy I was writing. 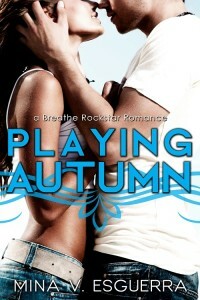 Playing Autumn’s Flirt Publishing edition is out! Same story, new cover. It’s also now the first book in a new series called Breathe Music, which means more stories about the Houston gang! Love’s A Beach on Amazon. Available for a limited time only. Hey everyone: My Spotlight New Adult series now has an international digital publisher! Thank you, Flirt Publishing! The Spotlight books are my US-setting New Adult books. You know, the ones with Nicholas, Jake, Oliver, and soon, Nathan and Grayson. Some of the books are available on Amazon now, but soon there will be a switch to the new Flirt Publishing editions. Something I do to keep track of places, people, events I have planned for each story. Check out the Pinterest board I made for Rules We Like Breaking. Follow Mina’s board Victoria and Nathan on Pinterest. Hi, everyone! Some authors and I have joined up to give you something new. Today we’re posting the first chapters of our work in progress, and we’re offering a personalized copy of this first chapter as a giveaway prize. Yay! 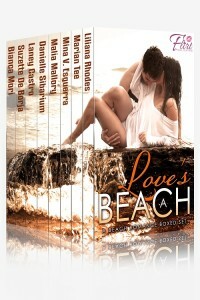 **Join my mailing list at bit.ly/list-minavesguerra and join the Facebook event to participate in the giveaway. You could win a personalized copy of this excerpt, and ebooks! Well, of course I was going to ask him out. I was looking for my October challenge, and he was right there, stripping in front of me. It was like the universe sent him over for me, special delivery, because yesterday I wasn’t only on time for all my classes, but held it together long enough to eat right and spend an hour on yoga. “Are you sure you’re okay with the room temp?” I asked again. It was cold, recently. At least I thought so, being used to Texas Octobers, and still clinging to that despite spending my fourth October in northern California. Even for a Texan I was sensitive to cold. This particular Friday, the weather sites said high fifties, but I was in a sweater like a shivering tourist. My guest for that morning’s class had begun to take his shirt and pants off. Not bothered at all.